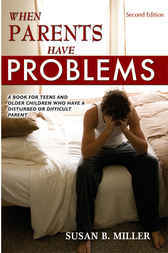 Numerous books have been written for adults who grew up coping with troubled and difficult parents. This newly revised second edition expands the information in the previous edition by updating current knowledge that provides a thorough overview for children who are coping with difficult and/or troubled parents. Two chapters have been added. The first addresses parents who have difficult personalities. These parents are not openly abusive or obviously neglectful to their kids but are overprotective, perfectionists, and immature. The kinds of problems that a parents troubles can cause and ideas on how to deal constructively with the challenges is discussed. The second new chapter addresses parents in poverty. Some families are poor by any standard, and some are poor in relation to their community. Either type of poverty is difficult for a child, and the problems of poverty may be different for a teenager than for a younger child. The author helps the reader to be realistic about the sources of a problem, particularly if they are the result of a parents difficulties. Additional topics discuss mistreatment, selfishness, when parents are in pain, when parents cause pain, powerhouse feelings, troubled parents and ordinary teen life. scapegoating, power struggles, choosing your parent over yourself, why parents have problems, and when should you call Protective Services. Suggestions are incorporated throughout the book on how to deal with the problems of the parent so that the child and/or teenager can keep on track with their own growing up. This book is an excellent resource for therapists, school counselors, group leaders, and others who work with children and teenagers and who want reading materials to recommend to them.